I hope you weren’t holding your breath over AM radio’s comeback when KOMO-AM took the top spot, and first-ever Arbitron PPM win, in January. Its reign was cut short as the station dropped back to a more typical #5 ranking in February with a 4.7. Sandusky’s soft AC “Warm” KRWM is back in first place with a 5.6 rating, after rocking the Holiday book with its all-Christmas 9.2 rating. Bonneville’s news/talk KIRO-FM held on to second place with a 5.3. It’s just ahead of Entercom’s active-rocker and recent top-spot ranker, KISW-FM, which moves up two spots this month with a 5.2. The University of Washington’s KUOW-FM sits in 4th place with a 5.1. Cume ratings leaders (equal to a week’s worth of programming and commercial breaks) remain unchanged for the month of February with perennial top ranker KRWM-FM in first, followed by KBKS-FM, KQMV-FM, KUBE-FM and KPLZ-FM. Last month we took a look at an interactive map featuring the most influential media by state. This month, the interactive map that recently caught our statistical eye is the New York Times’ mapping of the 2010 U.S. Census. The map features the change in total population and racial mix by Census tract, so you can get right down to your own neighborhood. Additional maps provide further detail on population density, individual races, occupied vs. vacant housing and vacant housing units alone. The city governments of Seattle and New York tied for first place on the list of the top ten cities in America for social media engagement on the web, according to a recent study from University of Illinois at Chicago. Virginia Beach, VA., Portland, OR., San Francisco, Kansas City, MO., Denver, Mesa, AZ. tied with Philadelphia, Louisville, Long Beach, CA., tied with Sacramento and San Jose round out the top 10. The report from UIC’s College of Urban Planning and Public Affairs examined features on local government websites that could contribute to civic engagement, such as information about government and community and interactive opportunities online. The research is based on content analysis of government websites in the 75 largest U.S. cities and 20 largest Illinois cities between March and the beginning of May 2011. Cities were ranked using a composite score with 94 criteria for council manager governments, and 90 for governments without city mangers. In a significant social media move, Facebook and Twitter were used by nearly nine in 10 of the top U.S. cities. That compares to 25% just two years earlier for Twitter and 13% for Facebook. Remarkably, YouTube jumped to 75% usage by the 75 cities, up from 16%. And nearly all the cities allowed commenting on the three platforms. 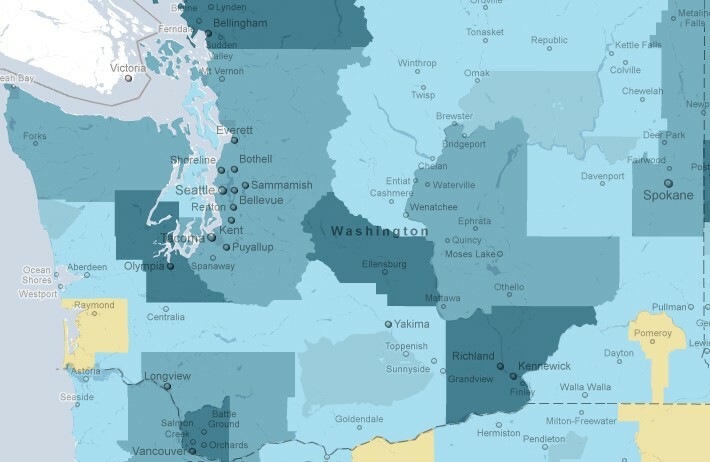 While only available in 12 cities, including Seattle, another emerging trend at the local level is open data portals that allow citizens access to city data. The Seattle.gov website really is a comprehensive portal. I personally killed an hour checking out all the heritage trees and farmers markets in the city. Kudos all around! For those of you interested in a quick check on local media, the site lists and links to most of the big Seattle media players and community blogs. Cost-conscious shoppers can find daily deals on just about everything they do, buy or eat in the Seattle market; so much so, it’s difficult to tell all the players without a program! Personally, I’m surprised there isn’t more natural selection going on, given the proliferation and little differentiation. Obviously the lackluster economy still is driving the need and apparent redemption results, but not for all. Gividend, the Seattle-based daily-deal aggregator with a community-giving twist that only launched this past October, has called it quits, citing the inability to get needed traction in the near-saturated Seattle market. That didn’t dissuade SharingSpree.com from entering the market, the fourth for the Portland-based deals provider (Other cities are Nashville, TN. and Birmingham, AL.). Like Gividend, it also bases its business model on giving back, in this case to local non-profits and schools. Seems like a natural for this market, arguably the birthplace of the Geek-turned-philanthropist mentality. Need help nav­i­gat­ing media for a Seat­tle tar­get audi­ence or a medium’s demo­graphic pro­file? Baf­fled by an advertiser’s media buy and won­der­ing why the com­pany would tar­get you through your favorite media? Drop me a note and I’ll look into it, no strings attached. Sim­ply email seattlemediamaven@seattletimes.com or enter your request in the com­ments sec­tion below. The more details you pro­vide, the bet­ter the outcome.